Banish dust bunnies and cobwebs ‘cause here comes the sun: it’s officially, finally, spring! If you’re anything like me, that’s the signal to clear out cubbies, closets, and corners. 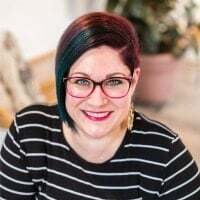 Freshening the whole house may seem overwhelming, but when you choose just a spot or two a day, spring cleaning is manageable and oh-so-satisfying, especially when it’s something you look at frequently. One of the least attractive and dysfunctional areas in my house is under the kitchen sink. 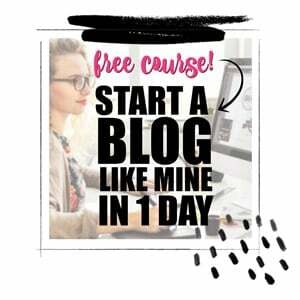 I’m in and out of it multiple times a day. Like in most kitchens, the drain pipes and disposal take up way more room than I wish they did. 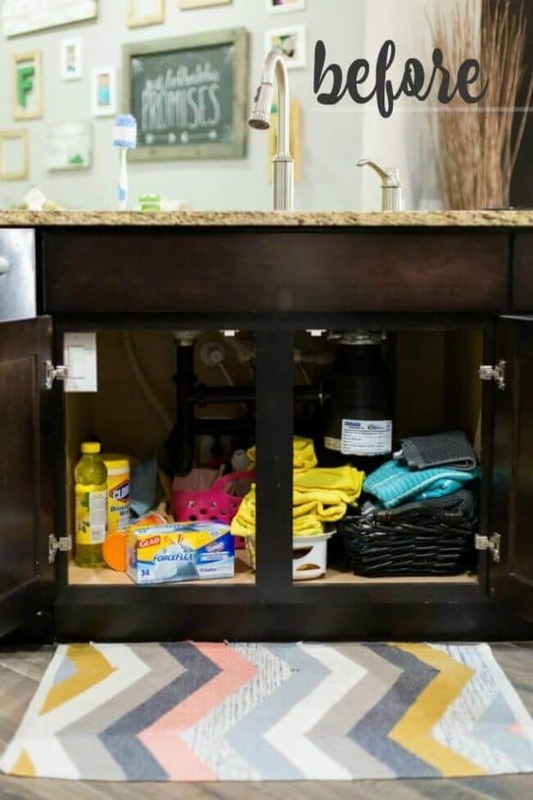 It’s easy for towels and cleaning products to end up in an unorganized (and unattractive) heap. 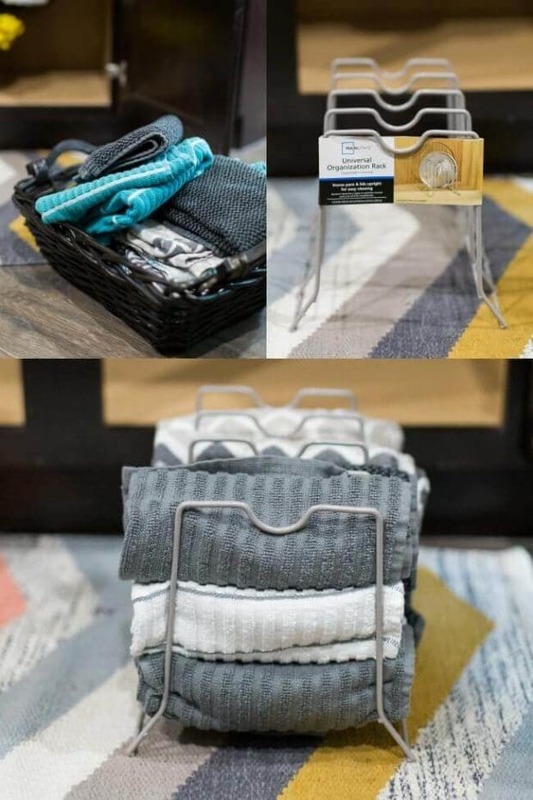 In a former attempt to neaten up the mess I used baskets to corral dish rags, towels, and cleaning rags. But after a few times of pulling out a clean cloth, invariably the whole thing became a jumble. On my latest Walmart jaunt to pick up cleaning products, I decided to try something else for organization. I came home with a new shelf, a door-hanging basket, a couple of dish racks and new dish towels. They have everything there! And if you can’t head into the store, you can hop over to Walmart.com to snag all sorts of great savings! First thing to do is pull everything out of the cupboard. 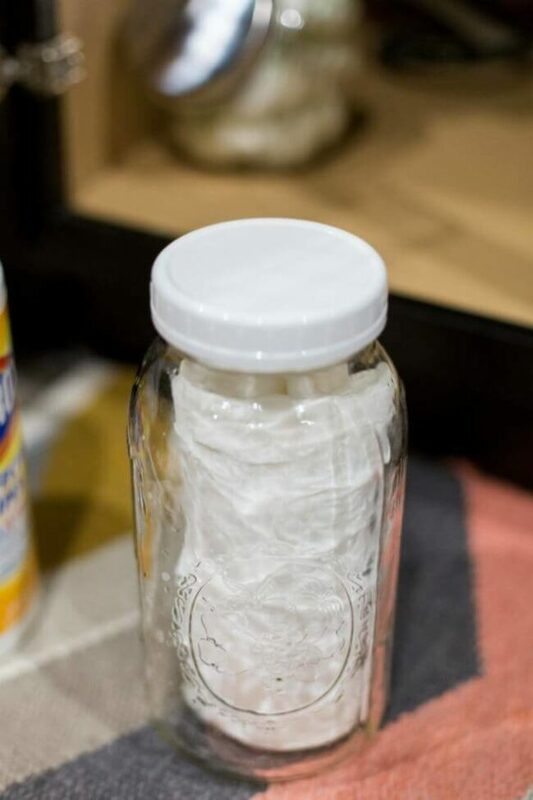 Get rid of no longer useful products. Go through all the towels and cleaning rags. Throw out the tattered and smelly old ones. 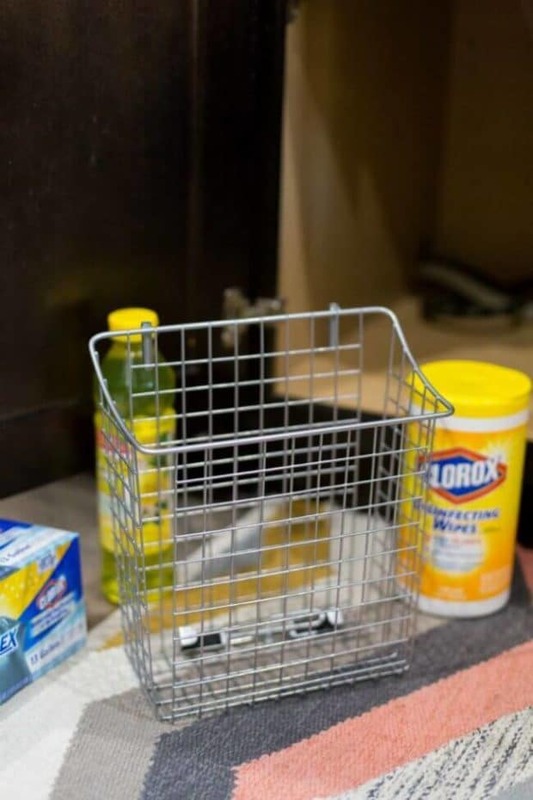 Glad Garbage Bags with Clorox Antimicrobial Odor Protection have a guaranteed strong hold that handles a heavy load plus it helps knock out that unpleasant garbage smell. 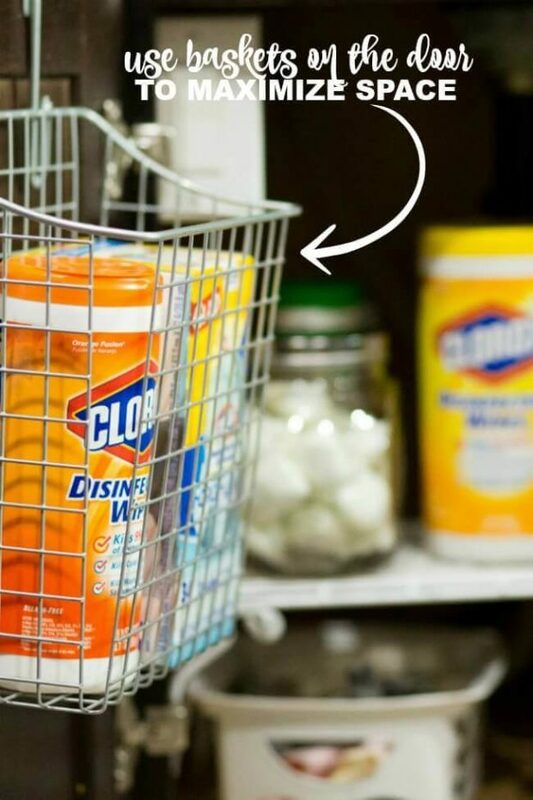 Wipe everything down with Clorox Wipes or Pine Sol Lemon. 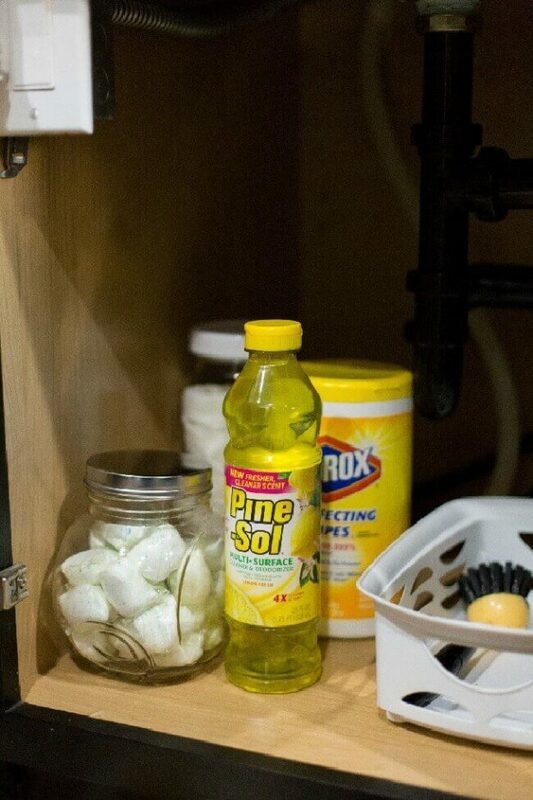 Pine Sol Lemon is a powerful cleaner and it leaves that freshly-cleaned scent that proves you’ve just done a great job! It cuts through grime-y dirt and grease on floors, sinks, counter, tile, etc. 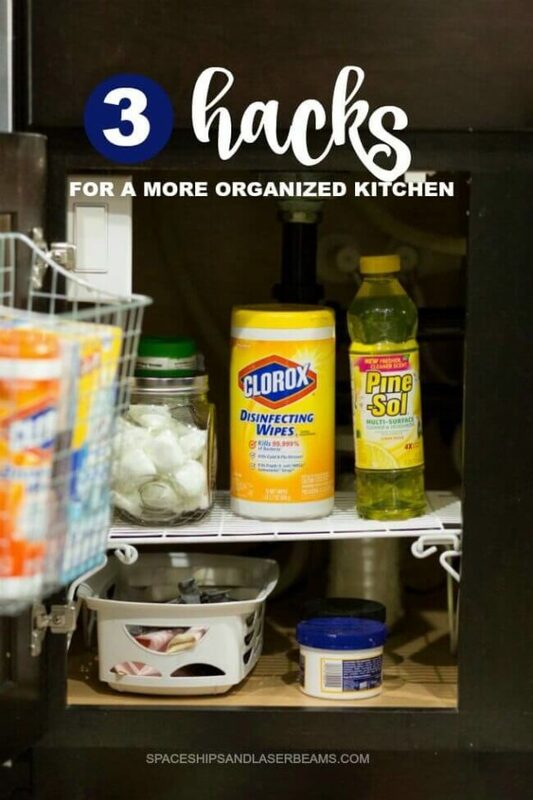 I also like to use Clorox Wipes when I’m doing housework because they cut out 99.999% of bacteria, knocking out viruses and allergens as you wipe things down. They’re good on stainless steel, finished hardwood, mirrors, and glass, as well as lots of other surfaces. 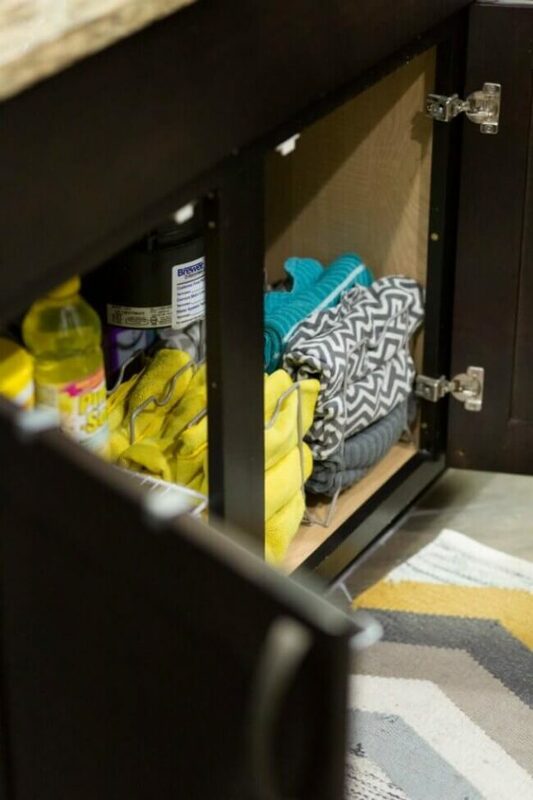 Mount a storage basket on the inside of the cabinet door. 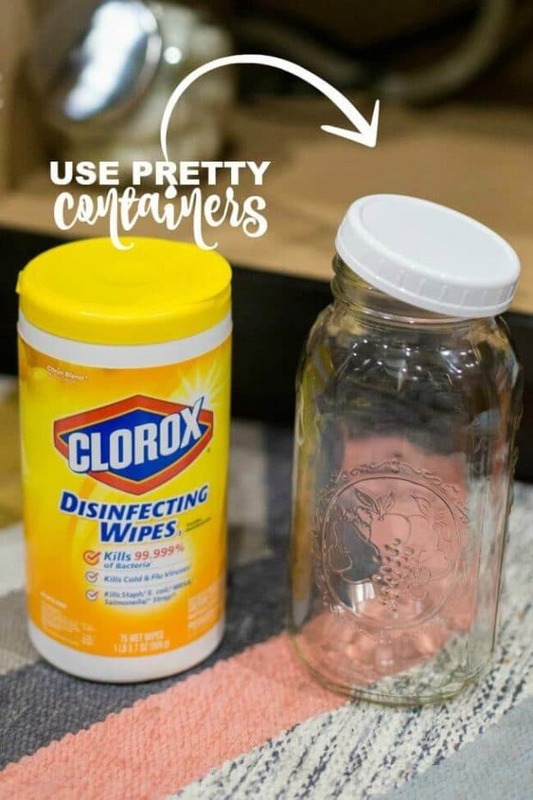 Use pretty containers for dish washer packs and Clorox Wipes. 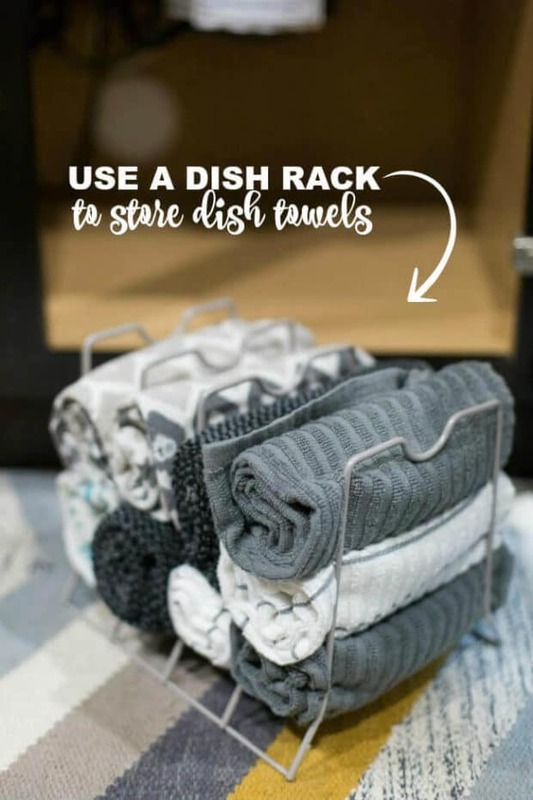 Roll dish towels and cleaning rags and stack them in dish racks. When you reach down for a fresh one, everything else stays neat and ordered. 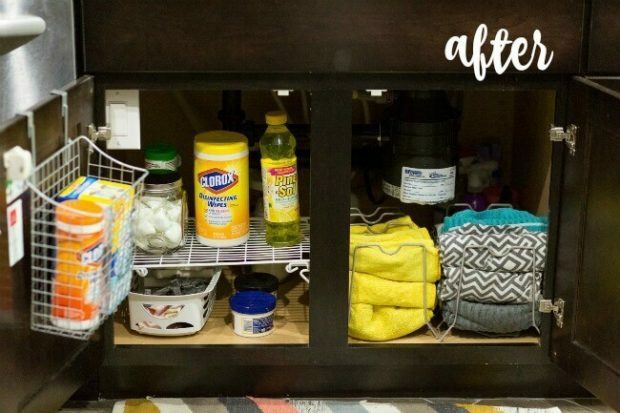 I also added a shelf on the side without the disposal for extra space and then arranged everything under my sink. Practical, functional, and spring cleaned. So satisfying!